You’ve Got Skydiving Questions, We’ve Got Answers! When you’re new to the sport of skydiving, its normal to have a lot of questions. Don’t worry – the team at Skydive Ramblers has been skydiving Brisbane and Queensland since 1972 and we’ve answered a lot of questions during that time! Below you’ll find answers to our most frequently asked questions. We encourage you to have a look through these questions prior to your upcoming skydive or course. In the case that you can’t find the answer to your question below, please feel free to contact us – we’d be happy to assist you in any way we can. All skydiving equipment including jumpsuit, helmet and goggles is supplied. You may jump in whatever you feel comfortable in: jeans and a jumper in winter, shorts and a t-shirt in summer. It is essential that you wear good running shoes – please don’t wear the kind of hiking boots with open hooks for the laces. Can I jump with prescription glasses? Ramblers has goggles that fit over glasses, and contact lenses are fine. Please ensure that you tell your Instructor if you wear contacts. Are there any limitations to tandem skydiving? Please call 07 5423 1159 for more information or email us for more tandem skydiving information. Here at Ramblers we try to make it as safe as possible. 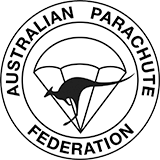 Ramblers Instructors are among the most experienced in the country, certified by the Australian Parachute Federation. Ramblers student parachute equipment is state of the art and all reserve parachutes are fitted with a ‘Cypres’ automatic activation device for maximum safety. Ramblers employs a full-time parachute equipment Rigger thus ensuring that you will be jumping with the best maintained parachute equipment available! We are open 7 days a week. Jumping commences around 8am and loads fly all day, depending on the weather. Put aside half a day for your jump. Can our group all jump together? Our fabulous turbine aircraft, the Cessna Caravan, seats up to 16 people. Yes, we can take groups of up to 5 Tandems on any one load, meaning that you and 4 other friends can jump together. Weather and jumping conditions apply of course. 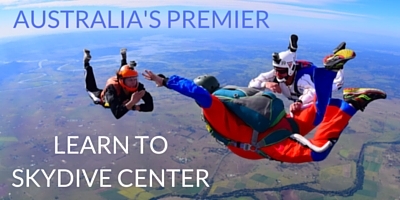 Are there any limitations to learn how to skydive? There is a minimum age limit of 16 for courses and solo jumps, with parental approval. There is a maximum weight limit of 110 kgs. It is advisable that you be of good general health. Please call 07 5423 1159 for more information or email us. Is learning to skydive safe? Ramblers Drop Zone at Toogoolawah is open 7 days a week. Ramblers have four full time Instructors and video camera flyers on-site. Stage 1 First Jump Courses are generally held every Saturday, Monday and Wednesday commencing 9am. Other days are available on request. Stage 1 is all-day training with the jump in the afternoon. Stages 2 – 9 involve pre-jump training up to 2 hours for each stage, plus the jump and also post-jump debrief. It is possible to make up to three course jumps in a day, weather and jumping conditions permitting. How long does it take to complete training and get the 'A' Certificate? You can progress through the course as fast or as slow as you wish, however it is preferred and strongly advised that you jump regularly to keep ‘current’. Ramblers have a variety of package deals to suit your time and financial requirements. If you wish, you can complete the entire course in 4 days, and even achieve your ‘A’ Licence in less than 1 week (weather permitting). Can International students learn to skydive at Skydive Ramblers? Yes, we frequently host international students at our dropzone. Skydiving Certificates are of an International standard. However, when students complete skydiving courses in a foreign country, most worldwide Federations would like those students to go home with an ‘A’ Certificate and preferably a ‘B’ Certificate. Returning home with a course completed, but no Certificate, can cause problems. Some international students have been made to re-do course jumps upon returning home without a Certificate. Yes. We have everything from free camping to a dormitory bunkhouse to comfortable caravans to motel units. The bunkhouse style accommodation available for all jumpers – bring your sleeping bag and pillow. There are also plenty of camping areas and powered sites for campers and caravans and motorhomes. Check out our Drop Zone / Onsite Accommodation webpage for photos and more detailed information.